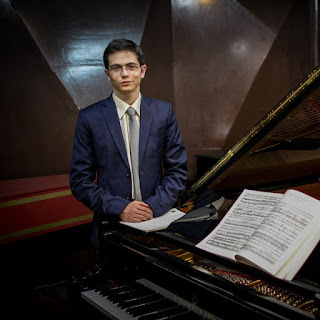 Ariel Lanyi is a young Israeli pianist who has recently started studying in the UK. He has been playing the piano since he was four and has already mode something of a name for himself despite only being in his first year at the Royal Academy of Music, garnering praise for the maturity of his interpretations. I met up with him in London to chat about his career so far and his thoughts on piano playing. In person Ariel comes over serious and rather intense, and he considers carefully before answering my questions. And many of his answers suggest that he does indeed think a great deal about things. His presence in London is partly due to Hamish Milne with whom Ariel is now studying at the Royal Academy of Music. Ariel recently started playing Nikolai Medtner's piano music and Milne has recorded much of Medtner's piano music. Ariel met him at a festival in Italy and approached him, initially just about Medtner but their initial contact helped decide Ariel's studying with Milne in London. But of course, London's vibrant concert scene is a great attraction too and since his arrival a couple of months ago Ariel has been busy attending concerts. He is also busy making new friends, aware that the contacts from this period of his life will be with him for years to come. Ariel has been having piano lessons since the age of four; there was a piano at home. Though his parents are not musical they love music and later in our conversation Ariel mentions that his earliest musical experiences were of the music of Bach, and that he grew up on the composer's music. Home is in Jerusalem where he studied at the High School and Conservatory of The Jerusalem Academy of Music and Dance, and he has been performing since he was young. He says that he loves performing and loves the experience of being on stage, the triumph, the adrenalin and even the mistakes. He feels music is written to be performed to an audience and prefers playing for real people rather than the camera or microphones and says that recording is a bit too much like enforced practising. That said, he loves the process of practising and though a quick learner relishes the opportunity practice brings to discover new works and learn more about old friends. He admits a number of pianistic influences and names a list beginning with Radu Lupu and Mitsuko Uchida. But he has never been influenced by a particular school of playing saying that he has never being partial to that school of thought. Adding that he feels with the globalisation of music, the sense of geographical schools is in decline and cites the teachers from many different places at establishments like the Royal Academy of Music. Regarding repertoire he tends to be interested in specific composers, particularly those whose music he feels elevated by playing and names Beethoven and Schumann along with greats sch as Mozart, Bach and Haydn. We return to the subject of Medtner, a composer whose music Ariel find fascinating, with its thematic variety and Medtner's organic way of writing. 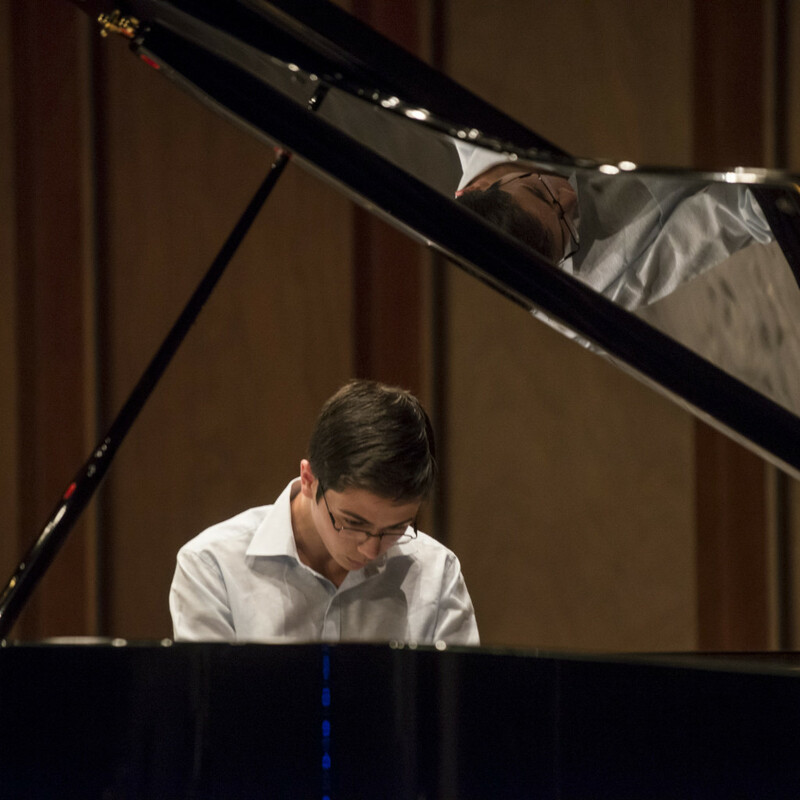 Ariel currently plays two of Medtner's sonatas and is learning the cycle of Forgotten Melodies including the Sonata tragica. When I comment about Medtner ending up in London after the Russian revolution, Ariel adds that he has played the Sonata Idyll, Medtner's last sonata written in London. I comment that Medtner's music makes great technical demands, but Ariel counters with the comment that he likes to stimulate his brain and that pieces have a very rich compositional texture. Medtner was after all a pianist and the music is very pianistically written. When playing a piece he aims to get the essence of the piece, and to heighten the things which made the composer great and the piece greater. Ariel's next solo concert is a lunchtime recital on 9 March 2016 at St Botolph without Aldgate when he will be playing three movements from the first book of Liszt's Annees de Pelegrinage, and three movements from Debussy's Estampes. Further ahead he has another concert, yet to be confirmed, in which he hopes to play a Bach partita and Medtner's Forgotten Melodies, Op. 39. I was curious how he puts his programmes together, and he says that he likes to play things that have some sort of coherence together. Sometimes when you look at the programme on paper it works, and sometimes the pieces have the same feel when actually played, but he tries not to be too meticulous with his preferences. His wish list of pieces he would like to play 'goes on an on' and he is currently working on Schumann's Humoreske, a piece he has wanted to play for some time. Looking ahead, it is mainly recitals and concerto performances which interest Ariel, but he is also keen to have a rich chamber-music life. 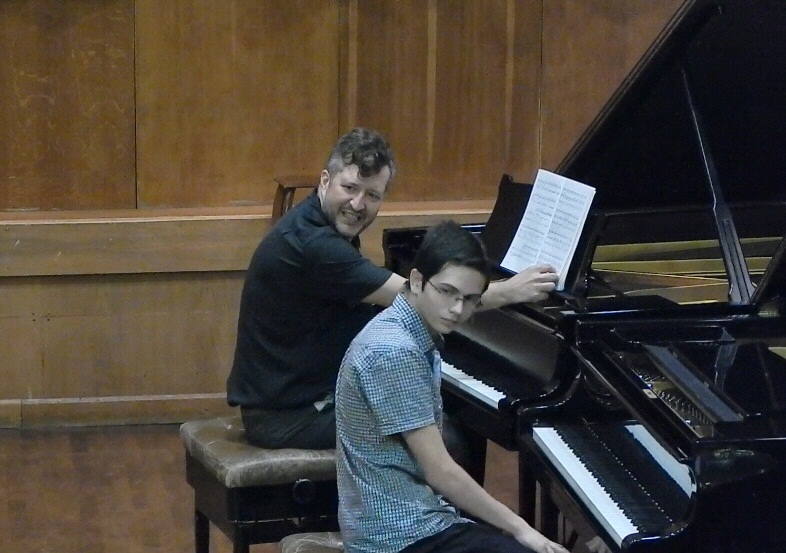 He finds the repertoire so vast and fascinating, and enjoys collaborating with others. He has done so a lot and hopes to be able to balance solo and chamber music work with regular partners. When not performing or practising he listens to music which is not piano music, such as opera, symphonies and chamber music and mentions the Beethoven quartets as something he finds very satisfying.